My unquestionable love for Interpol’s 2002 debut Turn on the Bright Lights has led me to do questionable things. I’ve continued to go to their shows despite being annoyed the first time seeing them when they all lit cigarettes in unison—an unnecessarily synchronized gesture that made me realize that no matter how the music made me feel, there was something contrived competing with authenticity. But, then there’s the admitted flutter of excitement I feel when I hear new Interpol music is on the way. It isn’t quite rational since none of their albums have enthralled me the way that the first one did. Antics was a solid sophomore effort, with whip-around-with-abandon tracks I still crave. And their fourth, self-titled album was surprisingly seductive—strong evidence the band hadn’t lost their talent for siring dark brilliance. But, I’m ambivalent about much of their work, including their third album, Our Love to Admire (2007), and their fifth, El Pintor (2014). Both are innocuous enough in the moment, but I’m guessing these efforts didn’t win many new fans. Yet, sixteen years after their now legendary debut, Interpol don’t necessarily have anything to prove. By account of critics and fans (myself included), Turn on the Bright Lights is a sensational album, capturing the pained, but defiant spirit of the greatest city in the world in the wake of 9/11. And, since then, they’ve crafted dozens of songs in their definitive aesthetic to warrant occasional attention and passing listens. Sadly, the problem is Interpol have never really progressed. Their ability to conjure atmosphere in the vein of seminal post-punk outfits like Joy Division and Echo & the Bunnymen felt strangely refreshing and inspired at the turn of the millennium. The chemistry between vocalist/guitarist Paul Banks, guitarist Daniel Kessler, bassist Carlos Dengler and percussionist Sam Fogarino was scintillating (not that it justifies the choreographed cigarette lighting!). In their early days, Interpol didn’t just sound amazing. They also seemed to possess depth—that necessary, but intangible quality which makes music powerful, moving and lasting. 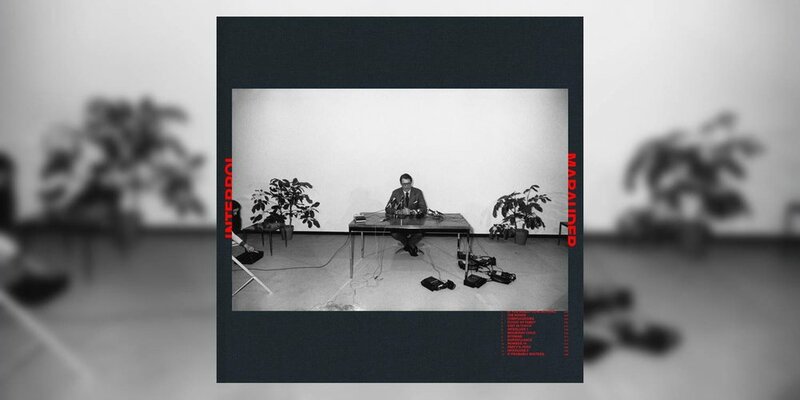 I can’t say Interpol’s sixth LP Marauder offers the intensity I need and expect from this band. The first three songs, including single “The Rover,” are disappointingly forgettable. It disturbs me to say as much, but I’ve spent the better part of the last month allowing myself the space to take the whole of it in. Unfortunately, despite intriguing lyrics, there’s just not much to absorb. “If You Really Love Nothing,” the title of the opening track, is almost a clue. It makes for a delicious tee-up to the album’s most compelling track, “Stay in Touch.” Epic and exhilarating, the song is truly the heart of Marauder, even making lyrical reference to the album title in its sprawling final verse. It’s the one song on the album my mind frequently revisits even when not in play, and it’s classic Interpol at their finest. From its celestial NYC-dwelling dreaminess to the exemplary way the band’s individual talents coalesce into a sonic tour de force to its eddying stream of consciousness conclusion, Marauder is a captivating force that demonstrates the trio are in no way lacking—a claim some have made since the band’s bassist left in 2010, after the making of their fourth album. I feel a little crazy (in the best of ways) by the end of it, which makes the ensuing brief instrumental interlude essential. Resuming the momentum is plucky “Mountain Child,” a rollicking number that recalls the carefree attitude of “Slow Hands” and “Not Even Jail” (from Antics). Unfortunately, “NYSMAW,” which follows, is a return to mediocrity that seeps through the bulk of the remaining songs. It isn’t until we get to the ending track (penultimate in the Japanese version), the seaside reckoning, “It Probably Matters,” that we see more signs of soulful songwriting. Again, it’s like Interpol realize this. The album despondently fades into oblivion, attempting to reconcile the effort with the futility, “It probably matters / How many hours of pain and bliss / It probably matters / How many hours I gave for this.” It’s a deflating blow in a world that once felt empowering (“It's up to me now / Turn on the bright lights” from the quintessential Interpol song “NYC”). Someday Marauder will probably matter, but it’ll be for the glimmers that suggest all is not lost. And so, I await album number seven from this capable band while conceding these last two have certainly tempered my expectations toward anything new.